An effective defense-in-depth strategy involves multiple layers of protection based on user identity, user behavior, email content, and threat insights. As part of a larger security practice and service offering across Microsoft 365, what tools are available for your organization to develop a modern desktop security offering? By attending our community call on April 23 you’ll learn: New features from Microsoft…. 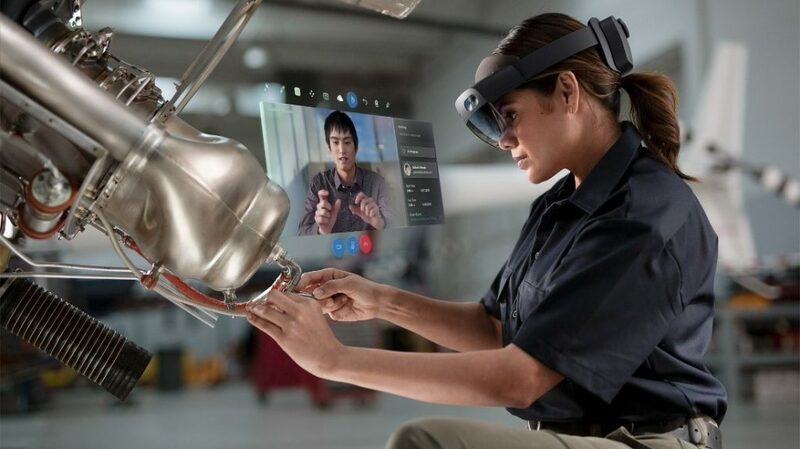 CONTINUE READING "Expand your Modern Desktop Security offering with Microsoft 365"
What is Mixed Reality and what is the partner opportunity around this fast-evolving area? A Microsoft-sponsored survey by Harvard Business Review Analytic Services shows 87 percent of respondents are currently exploring, piloting, or deploying mixed reality. In our April 2019 release, we extended Remote Assist to Android devices and announced two new applications in preview: Guides and Product Visualize. Guides—To…. CONTINUE READING "Learn about Mixed Reality"
Security operations (SecOps) teams spend a large portion of their time setting up and maintaining their tools. Many security analysts suffer from alert fatigue; their tools produce more alerts than they can complete investigations on in a given day. A solution is needed that empowers SecOps team to focus on the important threats and eliminate distractions. Since introducing Azure Sentinel…. CONTINUE READING "Modern Workplace Community call: Microsoft Azure Sentinel"
Welcome to the US Partner Community Hot Sheet, a comprehensive schedule of partner training, webcasts, community calls, and office hours. If you want to search for specific types of events or look further ahead at what’s planned, check out our Events Calendar. Keep an eye out for new events and offerings being added! Week of March 25-29 Week of April 1-5…. CONTINUE READING "April 2019 Hot Sheet partner training schedule"
Are you interested in earning your Microsoft 365 Certified: Enterprise Administrator Expert certification? Join us for our community-based study groups to help you prepare for the two required exams that were recently released: MS-100: Microsoft 365 Identity and Services MS-101: Microsoft 365 Mobility and Security Each week on Friday, we’ll meet to discuss a specific section of the exams where…. CONTINUE READING "Announcing the new Modern Workplace certification exam study group"
Thanks to everyone who has joined the Modern Workplace Partner Technical Community calls. So far this quarter, we’ve covered the following topics during our monthly call series: Driving successful Modern Workplace engagements with Adoption & Change Management Azure AD Privileged Identity Management Part II Modern Management – Autopilot From Paper-based to Paperless with Office 365 New Microsoft 365 Security and…. CONTINUE READING "Modern Workplace updates and certification exams"
For years, virtually every evaluation of a new business application, such as a CRM or ERP, would include a checklist of features published by the customer or the external evaluation consultant. These features were compared, contrasted against competitors, and prospective customers would begin to assess which solution best matched their business needs to make an informed decision. Instinctively, the sales…. CONTINUE READING "Learn how to leverage AI for a competitive edge with Dynamics 365"
Solving the technical skills gap continues to be one of the greatest challenges for our partners, and I’m delighted to announce the availability of new partner assets to help navigate this competitive landscape, including the much-anticipated Microsoft Practice Development Playbook: Recruit, Hire, Onboard, and Retain Talent. The playbook is a core element of our new Partner Skills Initiative. It was…. CONTINUE READING "New partner assets improve your hiring, onboarding, and retention"
Welcome to the US Partner Community Hot Sheet, a comprehensive schedule of partner training, webcasts, community calls, and office hours. If you want to search for specific types of events or look further ahead at what’s planned, check out our Events Calendar. Keep an eye out for new events and offerings being added! Week of February 25-1 Week of March 4-8…. CONTINUE READING "March 2019 Hot Sheet partner training schedule"
Microsoft’s Open Source business is strong! About half of our VM images are now running Linux and many of our Azure Marketplace solutions are based on Open Source. Microsoft’s strategy on Open Source is executed through four broad motions. Enable. Enable an open and flexible platform that meets you where you are and adds value to your existing investments. Integrate.…. CONTINUE READING "Learn what’s new with Open Source Solutions on our February community call"